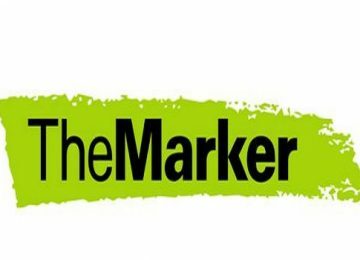 One Israeli smart device firm's creative technology is set to save a lot of money as well as make significant changes to the green industry in Israel. 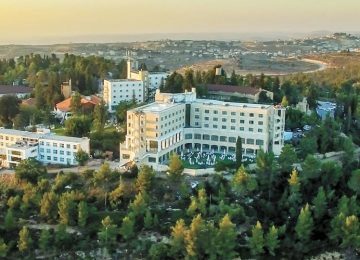 Israeli smart-device firm Vortex Energy’s pilot program has led to one hotel cutting its CO2 emissions in half and it accruing savings in the hundreds of thousands of shekels, according to both the company and client. The pioneering technology can more closely regulate tiny fluctuations in heating and cooling systems among large energy consumers, a tool which could allow Israel to surpass its pledge – a 25% reduction in greenhouse gas emissions by 2030 – made at the Paris climate change conference in 2016. Vortex Energy revamped the Leonardo hotel in Ramat Gan, retrofitting the site’s boiler room with intricate sensors and monitors to collect data on fluctuations in temperature. “What we’re doing, we’re doing an energy efficiency project. For example, take a hotel. If the hotel needs a machine room or air-conditioning, they will call a company or a constructor. And they’ll put the chillers or the heating in,” Vortex Energy founder Avi Mizrahi told The Jerusalem Post. 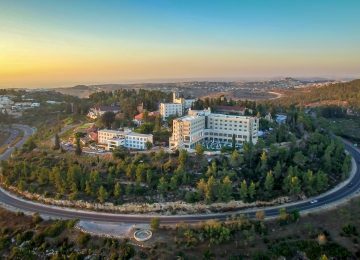 “What we do, we do the same thing or close to it but we are selling the hotel the regulated temperature and not the machinery,” he said, adding that Israel was at the forefront of adapting smart devices to recoup energy savings. For the Leonardo hotel, Vortex Energy netted a 12% reduction in daily energy expenditure compared to previous years after installing its smart devices throughout the hotel. The hotel also reported a 50% in CO2 emissions when measured to consumption between 2012 and 2016. 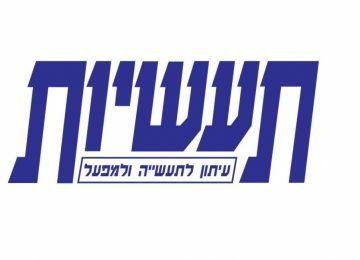 In just four months of the pilot program in 2016, the Leonardo hotel saved more than NIS 200,000 on energy bills. 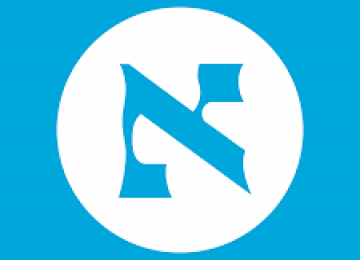 The company charged NIS 150,000 to install the smart device system, meaning that the savings can quickly accrue. The hotel also decreased its overall energy use by nearly 40%, using 5.5 million kW of energy in 2012 and going all the way down to 3.5 million kW of energy by 2016. Specifically, Vortex Energy developed a software that aggregates all the temperature data and then automatically recycles the heating or air-conditioning energy, along with changing the frequencies of the water chiller pumps. The goal of the software is to maintain the temperature within the comfort zone of the person, or 20 to 23 degrees centigrade. 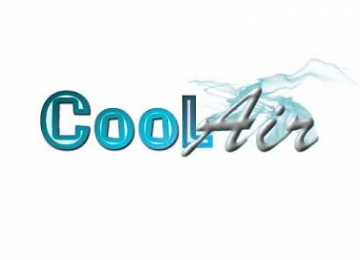 In other words, the firm uses the heat and energy exhumed from a water chiller to warm up the water in the shower, or what’s called heat recovery. Mizrahi described how it is a win-win, coping significant energy savings for consumers while also helping the environment at the same time. 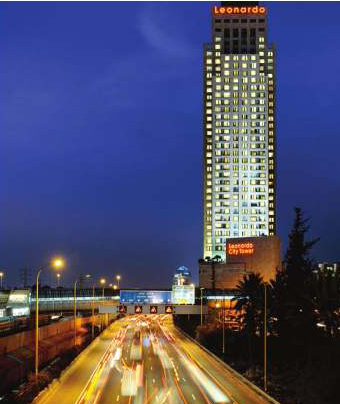 For each degree, the hotel or company can recoup a 5% saving on energy costs, Mizrahi added. Prior to these smart temperature devices being deployed, hotel employees would have to manually power down the air-conditioning served by a central boiler and chiller plant, albeit often hours later than first possible. Now in real time, these cumbersome units can fluctuate automatically via an algorithm, which may result in significant energy savings and a boon to the environment. Vortex Energy looks at helping tourist sites and hotels to upgrade their heating and electrical systems to result in energy savings. 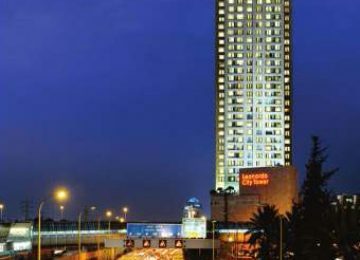 The company is contracted to retrofit other Leonardo hotels in Tiberias, Tel Aviv and Ramat Gan, and it is talking to Crowne Plaza as well. “If you say 500 hotels would save 40% [of energy use] like we did over here, maybe there are a few power plants that could be shut down,” Mizrahi said, speaking buoyantly as he mentioned how climate change could be fought with these tools. The Israeli company is based in the central city of Netanya and employs around a dozen employees. כל העיר ירושלים | מאת: רפי גמיש חברת וורטקס אנרגיה חתמה על חוזה לפרויקט התייעלות אנרגטית עם המלונות שבהרי ירושלים.